Make every celebration count from a vibrant birthday party or social function. We can make any occasion extra special, from birthday parties and wedding receptions to anniversaries. The Riviera guest house has the best catering and sound systems. It is our privilege to introduce to you "The Riviera", a premium service multi-purpose guest house in Islamabad located in the heart of the city. The Riviera has been established to meet the requirements of the corporate sector, diplomatic fraternity, and entrepreneurs who demand a glitch-free service at competitive prices. The Riviera provides state of the art technological facilities, business and conference center, and hall for meetings and gatherings for guests and larger groups. 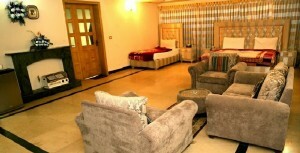 Our residential area offers a cozy housely ambience where guests can relax and unwind. We are confident that you will find our services unmatched and our staff highly professional at the guest house .We hope to hear from you soon and are looking forward to a long term mutually beneficial business relationship. The Riviera is situated at HOUSE # 5, Street 46, F-8/1 Islamabad, just at 30 minutes drive from the airport and 15 minutes drive from the Diplomatic Enclave, away from the hustle and bustle of city life. An independent Guest House, The Riviera offers modern bedrooms with stunning design features, fresh local food and an exceptional level of service. Mood lighting, sensuous soft furnishings, combined with stylish bathrooms, plus complimentary instant Wi-Fi access and interactive LCD TVs, make staying at The Riviera islamabad guest house an exquisite, home from home experience. 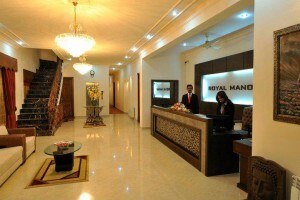 The Riviera guest house islamabad offers special discounted rates for corporate customers and will happily arrange transport for guests. 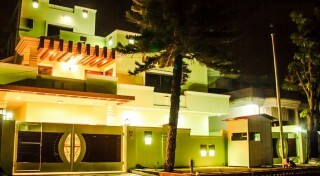 Please feel free to contact us if you are looking for a islamabad guest house that stands out from the rest . 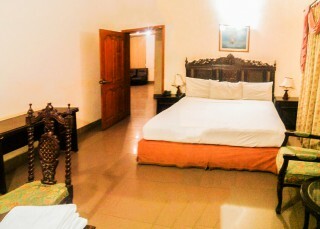 Riviera Guest house in islamabad also offer free complementary breakfast for every guest. Fresh juice / soft drinks in reception.